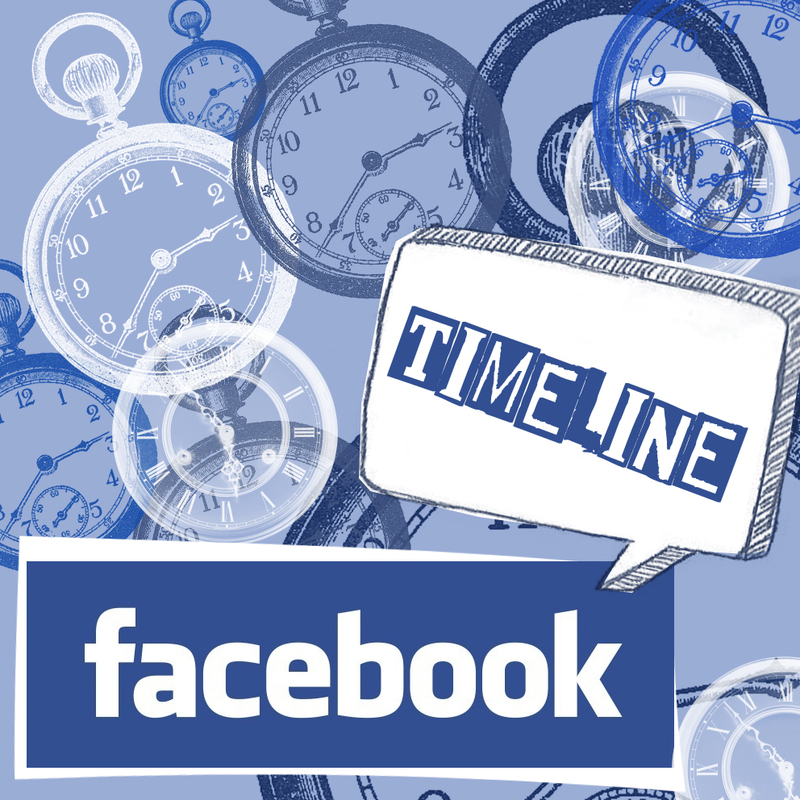 Those of you who run business pages on facebook will have noticed that they are phasing in Timeline for pages. You have till the end of the month until it's mandatory, so that gives you a bit of time to figure it out and play with your page design before it goes live. At this stage I'm a bit of a business page expert, for anyone looking for tips on setting up a page I wrote this article last year on 'Facebook Pages:An Idiot Guide'. Whereas today's article is a bit more advanced for those with established pages who know the basic ins and outs already. Firstly I cannot overestimate the amount that facebook has helped my business, it may be time consuming but at the end of the day it's free, and it's a form of advertising that customers actively opt into and pay attention to, you just can't buy that kind of press. I've had my page for about 2 years and it has brought me lots of new customers, real and online sales, and helped me build a personal relationship with the people who buy from me. They get to put a face to my business and I get invaluable feedback, it's a win win situation. In the past few months facebook have been making lots of little changes that at first seemed very limiting to pages, but now that they have unveiled Timeline most of it gels together very well. The most obvious difference with Timeline is the appearance, it's a much wider 'wall' with two columns instead of one. Older stories are now accessible by date from the panel on the right hand side, giving the lifespan of the page. They have added a new tool which means that you can bump up old posts by Pinning them, this is done by clicking the pencil icon on the right of any post and choosing the option 'pin to top'. This brings this post to the top of your timeline on the left hand column. It's a good idea to regularly pin popular posts that reflect your page so that prospective 'likers' can gauge quickly what your page is about. Once an item is pinned it remains at the top for 7 days. Another way to make a post more noticeable is to star it(do this by clicking the star icon on the right of any post) this makes the item double width, and much more noticeable when scrolling through older posts. It's good to punctuate the timeline with a few of the favourited posts to break up the double column layout. When I first went onto timeline I was disgusted that landing pages were made defunct as there is no longer control over what tab a new viewer arrives on. Previously I had designed a landing page that reflected my business and brought me lots of new 'likes'. Facebook have replaced this with a cover photo, a large image that sits behind your profile picture. It is fine to use an image of one of your products in this window but to get the best results it would be better to have a text and image graphic. Although be careful facebook have some rules about what text can go here, you are not allowed to point towards the like button, include sales promotions or other info that should be in the about section. The dimensions for the cover photo are 851 px wide and 315 px tall, and make your document 72 dpi. They have also added 'milestones' to the timeline, which act like starred posts(double width), but are designed to highlight key events in your business like awards, press etc. Your chosen event date will then be marked in your timeline. You can create these in your status bar, next to ask a question, and you can upload a photo with your description, the picture dimensions are 843 px wide and 403 px tall. This new feature can be used to great effect to give the history of a business in a dynamic way, especially for older businesses as they can mark events and trivia through the past decades. There is a lovely example here at Leo Burnett Worldwide. Facebook have added a handy admin panel at the top so all traffic and notifications are easily available. Thank goodness the days of no notifications on business pages are over, that was a nightmare! You can monitor traffic, reach, and who is talking about your page. They have also added a private message section which is really handy rather than people having to discuss sales on your wall. During my research for this article I found out that pages can directly message their 'likers', although be careful not to abuse this and alienate your readers by spamming them. But you can only message people who have already send a direct message to your business page, you can not start a new conversation with one of your fans. It would be a good idea to post an update letting your fans know that they can now send you a direct message, as most people don't know the mechanics behind a business page. You should also note that the amount that your updates appear in peoples news feed has changed over the past few months, someone who interacts with your page is more likely to see your updates that people who don't. This means that you need to post more regularly, and at different points in the day. It is also advised that you post different types of things, not just talking about your business all the time. Use pictures, ask advice, questions, share finds from Pinterest etc (For more info on this large topic head over to this great article). The magazine format of timeline has meant that facebook is becoming a much more visually based forum. Do things like share photos of work in progress, a yummy muffin you are eating, or materials you just purchased. There are lots of ways to vary your updates, just start thinking outside the box. You'll soon start to notice your 'talking about' numbers increasing, and afterwards your likers. Try to post information that people will want to share, George Takai (Ensign Sulu from Star Trek) has a great business page where he posts loads of funny geek pictures, he gets hundreds of 'shares' every day because his content is great. All in all I'm pretty happy with it now that I've learned all the new features. At first I hated it because it meant that I had to relearn lots of things. One frustrating thing is that they don't have an attach link function anymore in status updates which leaves an ugly pasted link at the end of the update, it seems like a pointless change. But the overall benefits outweigh any clunky problems. Knowing facebook they will come up with a whole host of new changes in another 6 months just to annoy everyone! CMVLive: Timeline, what's it all about?